Lets face it, most household and business owners only worry about their guttering when it stops working! The fact is, guttering on any building serves a critical service to that property. It doesn’t take long for clogged gutters to show signs of wear and tear and devalue the property considerably. 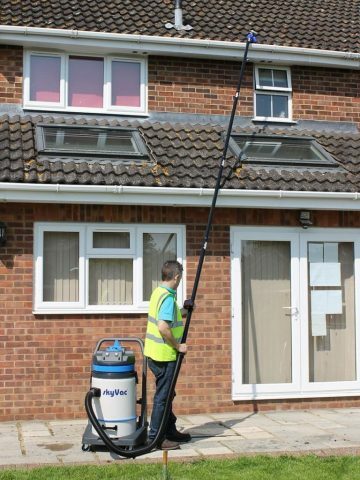 We have invested in the latest ladderless gutter cleaning system on the market today. We can clean up to 4 floors from the safety of the ground while adhering to working at height legislation. We can clean guttering from as little as £39.00. Please contact us for a quote.